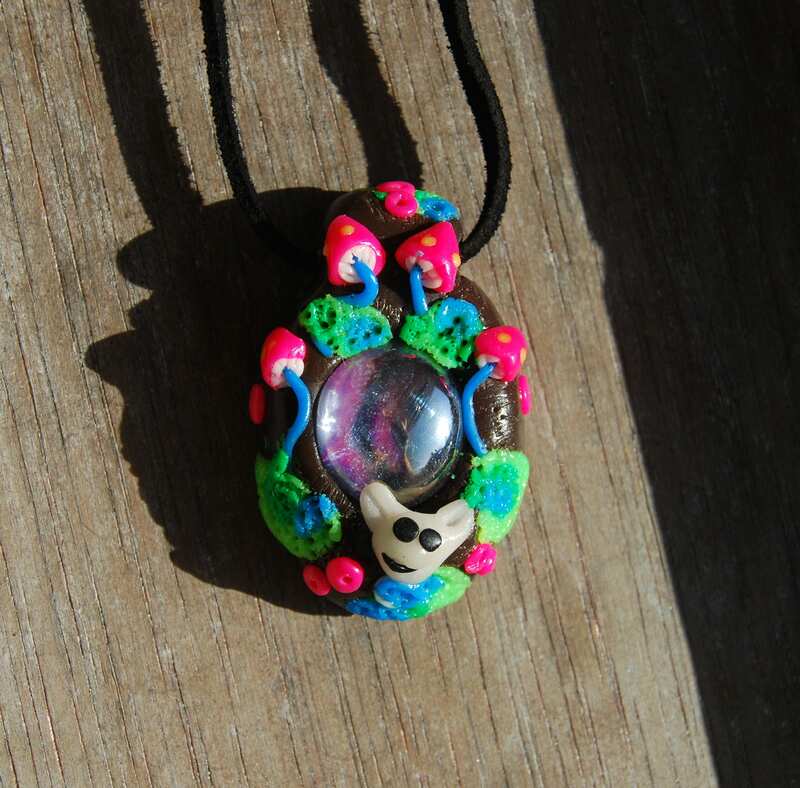 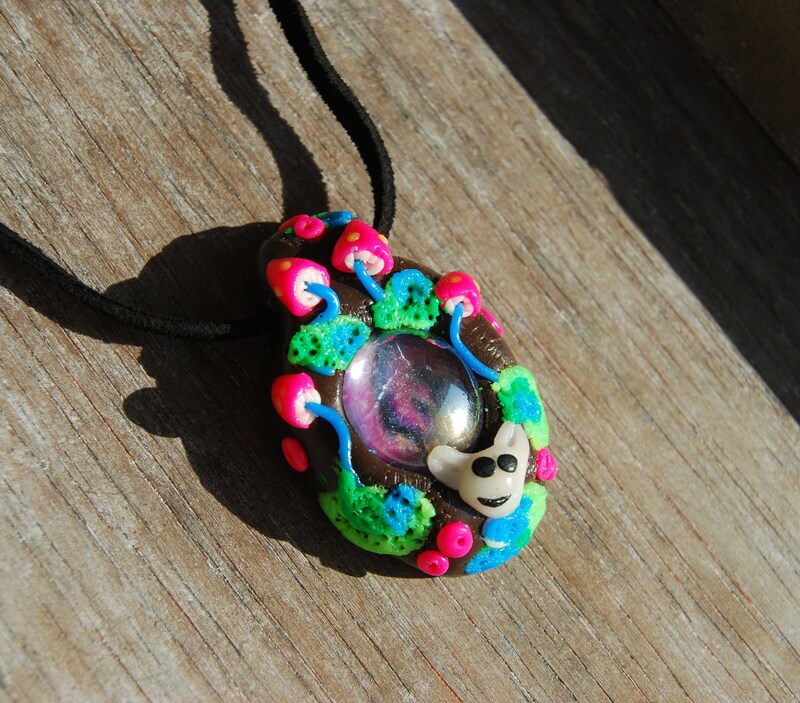 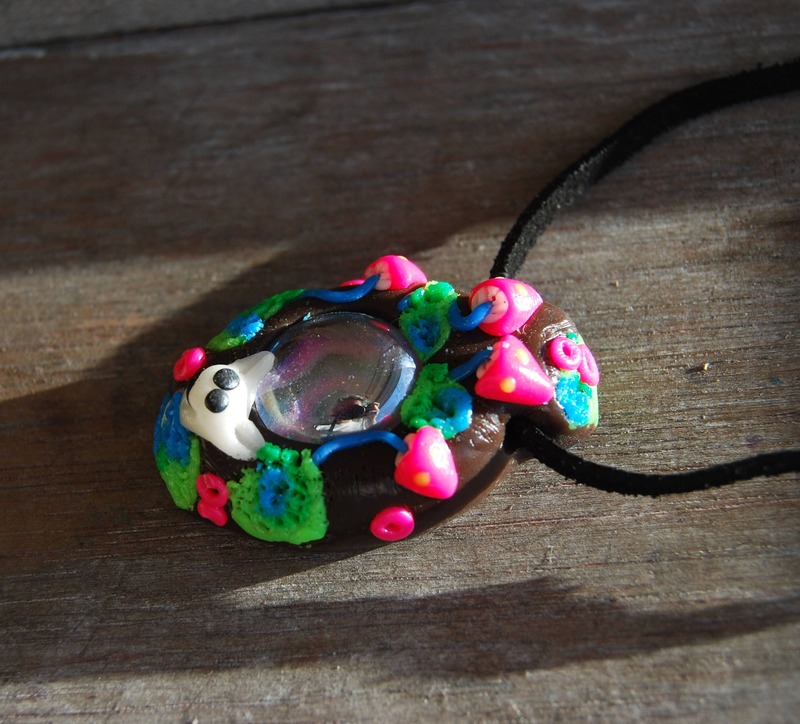 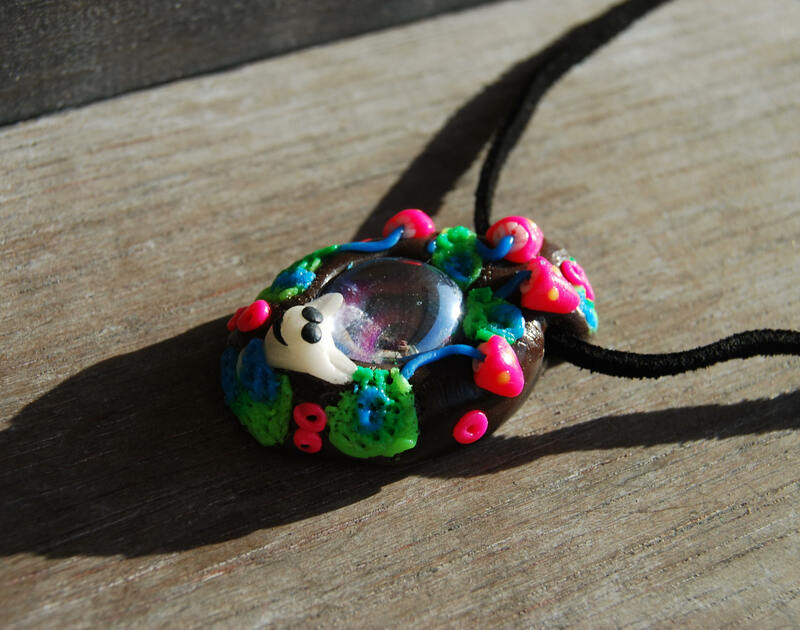 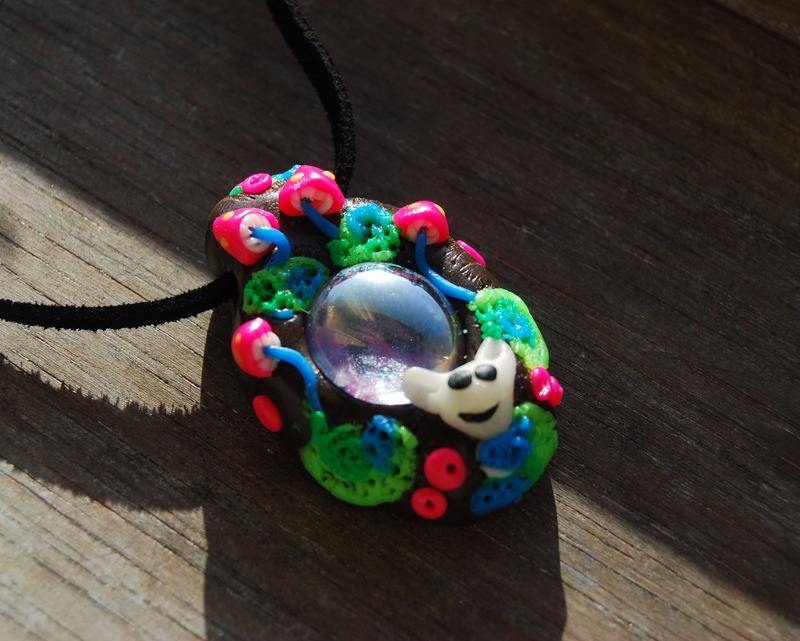 This cute Psy UV Fantasy pendant is made out of polymer clay and it has some mushrooms, moss and a white glow in dark bunny. 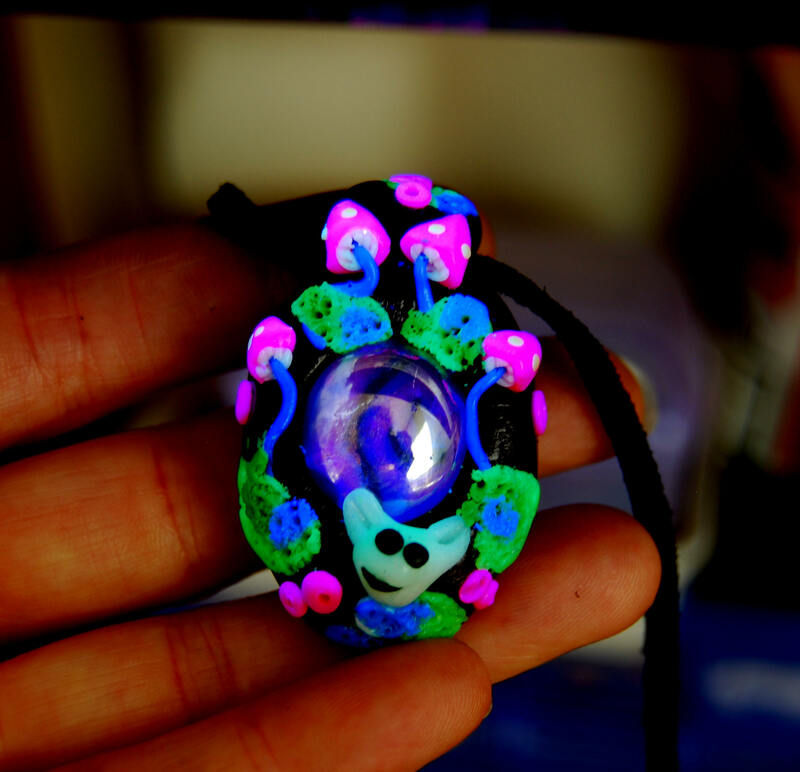 It glows in the blacklight. 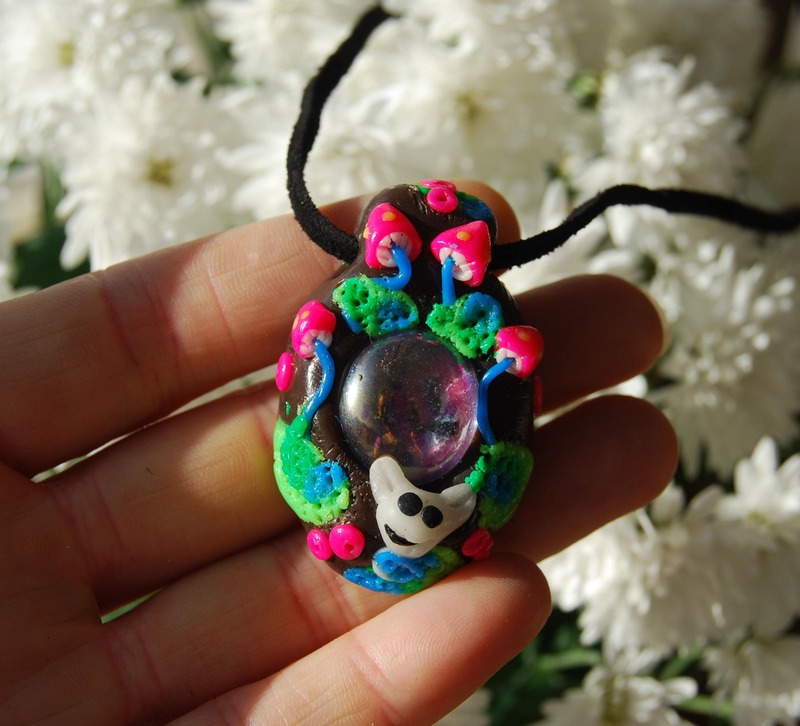 The pendant comes on an adjustable suede cord that you can make smaller or bigger so it will fit anyone. 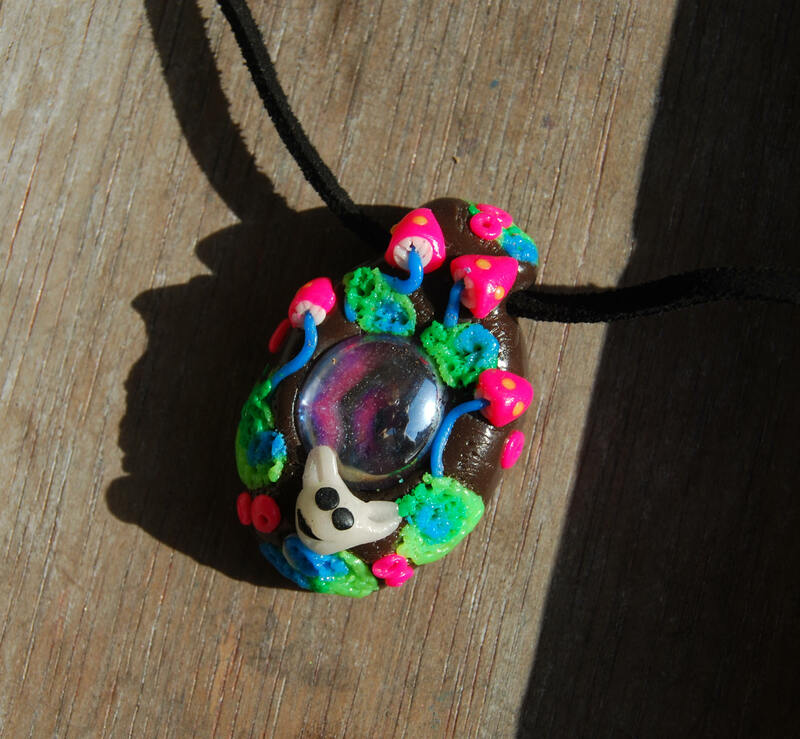 Size pendant is approx. 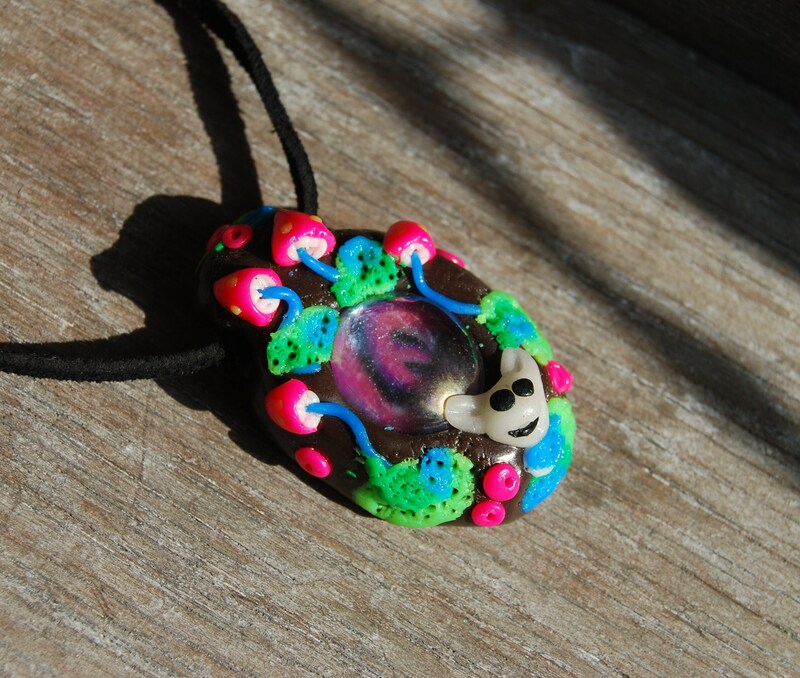 4 cm (1,8 inches) from top to bottom.